Previous studies have demonstrated that sleep duration is closely associated with metabolic risk factors. However, the relationship between habitual sleep duration and blood pressure values in Japanese population has not been fully established. We performed a cross-sectional study of 1,670 Japanese male subjects to clarify the relationship between habitual sleep duration and blood pressure values. The study subjects were divided into four groups (<6, 6-, 7-, and ≥8 h) according to their nightly habitual sleep duration. The rate of subjects with <6, 6-, 7-, and ≥8 h sleep duration was 12.0, 37.6, 38.2, and 12.2 %, respectively. Compared with the group with 7-h sleep duration (referent), the <6 and ≥8 h groups had significantly greater systolic and diastolic blood pressure values. The rate of hypertensive subjects, defined as systolic blood pressure ≥140 mmHg and/or diastolic blood pressure ≥90 mmHg, with sleep duration of <6, 6-, 7-, and ≥8 h was 13.4, 5.7, 7.5, and 13.8 %, respectively. Compared with the group with 7-h sleep duration (referent), the multivariate odds ratios (95 % confidence interval) of the groups with <6 and ≥8 h for hypertension was 2.43 (1.40–4.20, P < 0.01) and 2.28 (1.31–3.95, P < 0.01), respectively, adjusted for conventional cardiovascular risk factors. The present study demonstrates that both long and short habitual sleep duration were significantly associated with high blood pressure values and hypertension occurrence in Japanese male subjects. Sleep loss, long-term sleep deprivation, and alterations in sleep duration are common in modern society , with evidence showing that we are sleeping on average only 6.8 h per night, which is 1.5 h less than we did 100 years ago . Change of sleep condition exerts deleterious effects on detectable changes in metabolic [3, 4], endocrine , and sympathetic tone . These findings suggest that alterations of habitual sleep duration may predispose to overt change of blood pressure values. Several previous studies demonstrated that shorter sleep duration was related to hypertension, compared with subjects with 7 h of sleep per night in Caucasian populations [7, 8, 9, 10]. The first US National Health and Nutrition Examination Survey (NHANES-I) elucidated that sleeping 5 h or less per night was associated with a 60 % increased risk of incident hypertension in Caucasian middle-aged subjects during a mean follow-up of 8–10 years . The Sleep Heart Health Study demonstrated that US subjects sleeping more than 9 h per night had 30 % higher prevalence of hypertension as compared with those sleeping between 7 and 8 h per night . The relationship between sleep duration and hypertension occurrence in previous studies has been controversial; however, this association among Japanese general population has not been fully investigated. Moreover, the relationship between sleep duration and blood pressure values remains unanswered. The purpose of the present study is to examine cross-sectional associations of sleep duration with blood pressure values and hypertension occurrence in Japanese male subjects. The study subjects consisted of 1,886 food and beverage company male employees, aged from 38 from 58 years, who had their annual health examinations during the period from April 2010 to March 2011. A total of 216 subjects were excluded for the following reasons: medication of hypertension (n = 201), medication of sleep disturbance (n = 12), and medication of depression (n = 3). Thus, 1,670 male subjects were enrolled in the present study. The study protocol was approved by the ethical committee of Hokkaido Information University, and written informed consent was obtained from each subject. All study subjects were asked to complete a self-questionnaire that included smoking habit, alcohol consumption, frequency of exercise, family history of hypertension, and medical history. The questionnaire was distributed to the subjects in advance of their annual health check-up and was collected at the examination. The subjects who had never smoked and ex-smokers were classified as “non-smokers.” Drinkers were defined as those who consumed alcohol once per week or more. “Exercise” subjects were defined as those who regularly exercised more than once per week. Hypertension, dyslipidemia, and diabetes mellitus were defined as receiving medical agents at the health examination. Body mass index (BMI) was calculated as body weight (kilograms) divided by squared height (meters). Blood pressure was measured by a trained nurse using a standard mercury sphygmomanometer, with the study subjects in sitting position after at least a 5-min rest. A blood sample was obtained from the antecubital vein in the morning after an overnight fast, and serum was separated. After precipitation by heparin-manganese, total cholesterol and high-density lipoprotein (HDL)-cholesterol were measured by the phosphotungstate method. Triglyceride was measured enzymatically. Glucose was enzymatically determined by the hexokinase method. Incident hypertension subjects were defined as those with systolic blood pressure ≥140 mmHg and/or diastolic blood pressure ≥90 mmHg at their health examination. The study subjects were categorized into four groups according to sleep duration: <6, 6-, 7-, and ≥8 h. The characteristics of the study subjects were expressed as mean ± standard deviation (SD) for continuous variables, median (interquartile range) for skewed distribution variables, and percentages for categorical variables according to sleep duration. The differences of variables among groups were examined by analysis of variance (ANOVA), Kruskal–Wallis test, or chi-square test. Next, Bonferroni procedure was used between two groups as a post hoc test. The association between sleep duration and hypertension was assessed by using multiple logistic regression analysis. The principle model included candidate variables of age, BMI, smoking, alcohol, exercise, dyslipidemia, diabetes mellitus, family history of hypertension, values such as systolic blood pressure, total cholesterol, triglyceride, HDL-cholesterol, and glucose. P value less than 0.05 was considered to indicate statistical significance. All statistical analyses were performed using the SPSS statistical package for Windows version 11.0 (Chicago, IL, USA). Table 1 presents the characteristics of study subjects according to sleep duration levels. The mean age and BMI of the study subjects was 50 ± 6 years and 23.8 ± 2.8 kg/m2, respectively. The numbers (%) of the study subjects with sleep duration of <6, 6-, 7-, and ≥8 h were 201 (12.0), 628 (37.6), 638 (38.2), and 203 (12.2), respectively. Variables such as age, BMI, alcohol, exercise, family history of hypertension, triglyceride, and HDL-cholesterol were significantly different among the groups. Subjects with 7-h sleep duration were older and more likely to be nondrinkers. Figure 1 shows systolic (a) and diastolic (b) blood pressure values according to sleep duration levels. The mean systolic and diastolic blood pressure values of the study subjects were 119 ± 15 and 74 ± 11 mmHg, respectively. The mean systolic blood pressure values with sleep duration <6, 6-, 7-, and ≥8 h were 122 ± 14, 119 ± 15, 118 ± 15, and 122 ± 17 mmHg, respectively (P for trend <0.01). The mean diastolic blood pressure values with sleep duration <6, 6-, 7-, and ≥8 h were 76 ± 11, 75 ± 10, 73 ± 11, and 78 ± 12 mmHg, respectively (P for trend <0.001). Compared with subjects with sleep duration of 7 h as a referent, those with sleep duration of both <6 and ≥8 h had significantly greater systolic and diastolic blood pressure values. Table 2 presents multivariate predictor variables for hypertension by multiple logistic regression analysis. The number (%) of study subjects with hypertension was 139 (8.3 %). Risk factors such as age, BMI, smoking, alcohol, family history of hypertension, and glucose were significant and independent predictors for hypertension. Table 3 presents the odds ratio and 95 % confidence interval (CI) for hypertension according to sleep duration levels. The numbers (%) of hypertensive subjects with sleep duration <6, 6-, 7-, and ≥8 h were 27 (13.4), 36 (5.7), 48 (7.5), and 28 (13.8), respectively. On multivariate analysis with sleep duration of 7 h as the reference, the adjusted odds ratio for subjects with sleep duration <6 h for hypertension was 2.43 (95 % CI 1.40–4.20, P < 0.01), and for sleep duration ≥8 h was 2.28 (95 % CI 1.31–3.95, P < 0.01). The present study demonstrates that sleep duration of both <6 and ≥8 h are significantly associated with high blood pressure values and hypertension occurrence in Japanese male subjects. Bonnet et al. reported that nearly one-third of adults had sleep duration of less than 6 h per night, and sleep deficiency, long-term sleep deprivation, and alterations in sleep duration have become common in modern society. The quality and duration of sleep have been indicated as factors affecting health condition in general population [11, 12]. In epidemiologic studies, compared with subjects with habitual sleep duration of 7 h, short and long sleep durations were related to increased BMI [13, 14], development of diabetes mellitus [15, 16], and occurrence of cardiovascular disease [17, 18, 19]. Recent epidemiological cohort studies indicated that short and long sleep duration were also closely associated with mortality [20, 21]. Ikehara et al. 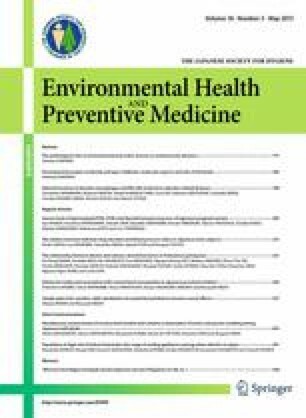 demonstrated that both shorter and longer sleep duration were associated with increased mortality due to all causes for both genders, yielding a U-shaped relationship with total mortality with a nadir at 7-h sleep duration from a large-scale prospective study of 98,634 Japanese men and women in the Japan Collaborative Cohort Study. However, the relationship between sleep duration and blood pressure values in Japanese general population has not been fully established. Previous studies indicated that sleep disorders might play a crucial role in determining blood pressure values both in the office and over the 24 h and modulating the day–night blood pressure profile [23, 24], which could affect the prognosis of hypertensive patients [25, 26]. Recent studies demonstrated that both increased and reduced sleep duration may be related to increased risk of cardiovascular disease and hypertension [22, 27]. These studies clarified that sleep duration defined as acutely induced sleep deprivation was closely associated with blood pressure values; however, the relationship between habitual sleep duration and blood pressure values has still been controversial . Previous studies reported that short habitual sleep duration increased blood pressure values in general population ; however, this relationship might differ among ages and ethnicity [7, 30]. The present study demonstrated that short habitual sleep duration was significantly associated with high blood pressure values and hypertension occurrence in Japanese middle-aged male subjects, which confirmed the previous results. The biological mechanisms mediating the association of short habitual sleep duration with development and occurrence of hypertension are uncertain; however, short habitual sleep duration may disrupt circadian rhythm and autonomic balance [30, 31]. The alterations in these functions might shift the daily blood pressure profile to higher values, lead to a nondipping pattern, increase blood pressure variability, and induce disturbances in the diurnal rhythm of cardiac output [32, 33]. The present study also demonstrated that long habitual sleep duration was significantly associated with high blood pressure values and hypertension occurrence. The rate of drinkers was more likely to be higher in subjects with sleep duration ≥8 than <6, 6-, and 7 h (Table 1), and the alcohol covariate was a significant and independent predictor for hypertension (Fig. 1). Sesso et al. indicated that light to moderate alcohol consumption exhibited a linear association with increasing risk for hypertension development. Nakanishi et al. demonstrated that the risk for hypertension increased according to the increment of alcohol consumption doses in Japanese middle-aged male subjects. Thus, these results may be a potential causal basis for the result in the present study. Patel et al. reported that C-reactive protein and interleukin-6 levels rose with increasing habitual sleep duration. These inflammatory mediators might also increase the risk of hypertension in subjects with long habitual sleep . The limitations of the present study are as follows. First, sleep duration obtained by self-questionnaire might differ from precisely measured sleep duration. However, Lockely et al. reported that good agreement was found between self-reported sleep duration and values obtained through actigraphic monitoring. Second, the present study examined blood pressure values once, in the health examination. The accuracy of blood pressure values would likely have little effect on the results of this analysis. Third, the present study was a cross-sectional observation study. The possibility of unmeasured confounding variables, such as sedentary lifestyle and obstructive sleep apnea, could not be excluded. In conclusion, we demonstrated that both short and long habitual sleep duration were significantly associated with high blood pressure values and hypertension occurrence in Japanese male subjects. Finally, it is important to note that adequate sleep duration should be one of the important strategies for hypertension occurrence.